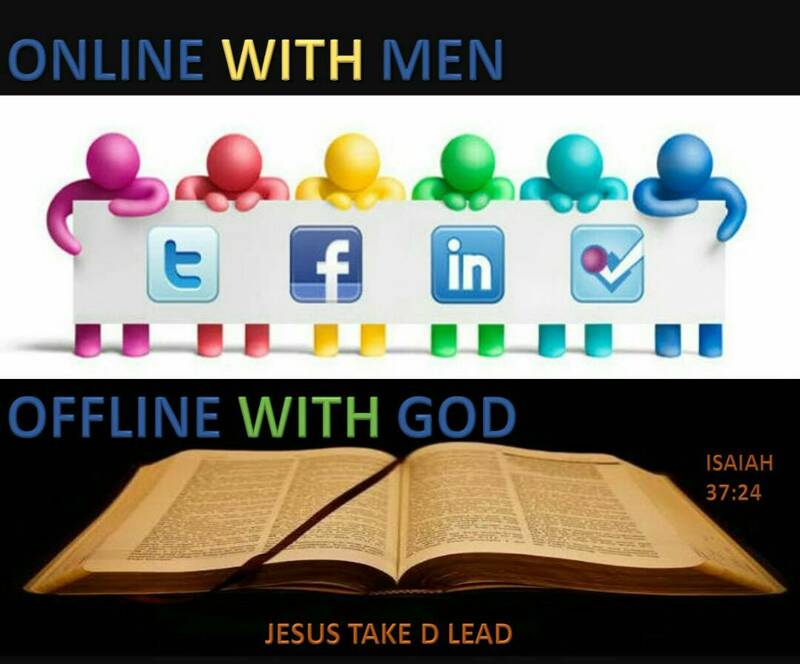 ONLINE with Men, OFFLINE with God. JTLCrew today, met with the great Prophet Isaiah, who spoke last week on the misuse of social media. The aim of meeting was that he may share further, the mind of God concerning the misuse of Social Media platforms by many Christians. but they are not Inline with God. but Inline they are not scriptural in their living. But inline, they are not known by God. But Inline they attend no church, neither are they God’s church themselves. But Inline, deny the Lord; Living off the line of righteousness and sound Christan living. But inline they do not follow ME. Yet inline they are squating, trekking every distance they claim to drive through. They are active members of online forum with men. But never active in the kingdom expansion forums. But inline they are Woswobi children, doing things abominable in zion. Indeed thou has reproached me by thy messengers. For no OFFLINE Son/Daughter will rapture with me upon my return.